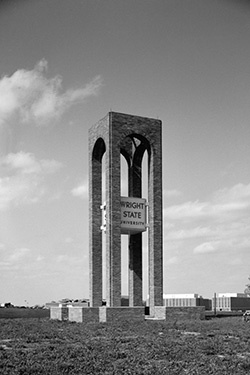 The Wright State University Alumni Association was founded in 1971. The purpose is to foster a fellowship of individuals who share a common institutional interest and to develop a sound collegiate heritage by coordinating activities and services which contribute to the academic, cultural and physical growth of Wright State University. Over the past four decades, Wright State University has awarded degrees to more than 100,000 alumni who have benefited in many ways from the Alumni Association. Since 1994, the Alumni Association Legacy Scholarship program has been providing tuition assistance to students pursuing their Wright State degrees. These scholarships are intended for the families of Alumni Association members and continue the growth of our institutional heritage. The Wright State Alumni Association was recognized with the prestigious Inventing Tomorrow Award in recognition of their 30 years of continuous support and philanthropy to Wright State University. The Alumni Association is governed by a 25-volunteer Board of Directors, who give their time and talents and participate in a variety of alumni and foundation events and programs. This group also works with volunteers on planning social events and bringing alumni together.